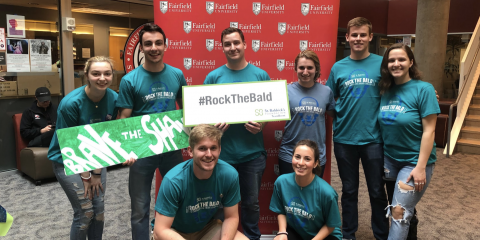 On Saturday, April 14, the Fairfield Mens’ Lacrosse squad looked to build off of their enormous win when they traveled to Hofstra University and stunned them in the game’s final seconds. The Stags were trying to record back-to-back wins for the first time all year. At a record of 4-8 coming into the game, every contest, especially Colonial Athletic Association Conference games, mattered a great deal. As it was Military Appreciation Day for Fairfield at Rafferty Stadium, this game would not disappoint the over 1,500 fans in attendance. 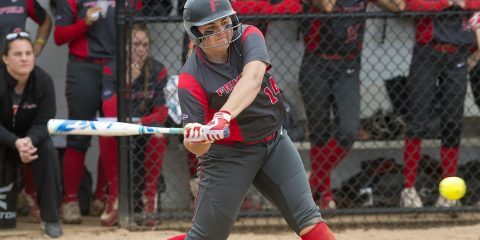 As a whole, there was scoring early and often between Fairfield and Drexel University on Saturday. It did not take long for either team to score as six goals were recorded in the opening quarter. For Drexel, attackman Matthew Varian ‘20 got the game started by scoring his twenty-third goal of the season with just under 11 minutes remaining in the first quarter. Shortly after, midfielder Nick Fox ‘20 added a goal of his own, his 12th score of the season. Fairfield answered after being down 2-0 early in the game as Brendan Quinn ‘19 scored his sixth goal of the year to get the Stags on the board. Drexel would add two more goals by Robert Frazee ‘18 and Wil Manganiello ‘18. The Drexel Dragons were ahead 4-2 in the second quarter and they wanted to further increase their lead. After a quick goal from Joe Rodrigues ‘18, Drexel would record four consecutive goals to grab an 8-3 lead. Four different Dragons scored in that span: Jake O’Donnell ‘18, Chris McLallen ‘20, Marshal King ‘19 and Reid Bowering ‘20. 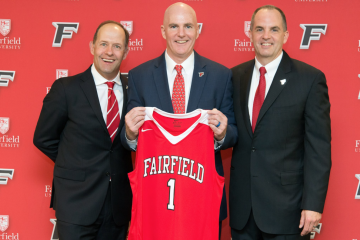 Fairfield was in desperate need of a turnaround if they wanted to top Drexel. 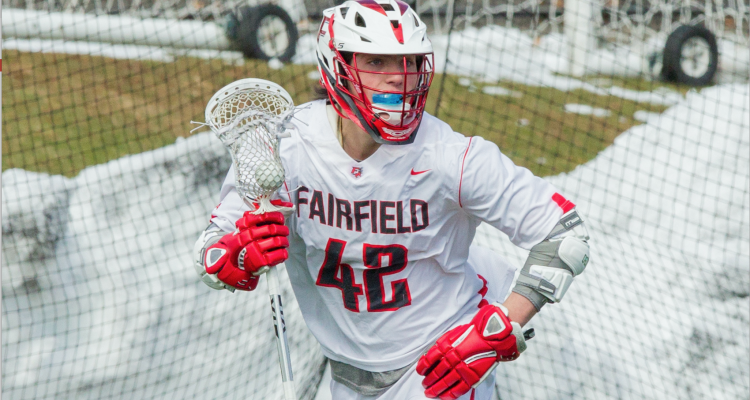 After two late goals by the Stags, Fairfield was staring at a four goal deficit, 9-5. They did not want to waste any time to wash away the deficit and scored four straight goals of their own to start the second half. Quinn, Liam DaRos ‘18, Jack Brennan ‘19 and Colin Burke ‘19 all recorded goals to even the score at nine, with just over eight minutes left in the third quarter. Drexel fired back with another four consecutive goal streak, making the score 13-9 in favor of the Dragons. The third quarter ended with the momentum toward Drexel as the Stags headed into the final quarter, looking to make yet another comeback. To answer Drexel’s four straight goals to end the third quarter, Fairfield fired back five goals in a row coming at the hands of McKay Shehan ‘19, Brennan, Taylor Strough ‘21, Burke and Quinn. The Stags took a 14-13 lead in the final quarter as they came back to even the score for the second time in the game. However, Drexel retook the lead and held it for good, as they won 16-14 in a game for the ages. Bowering recorded a hat trick for the Dragons as three different Stags, being Quinn, Brennan and Burke registered a hat trick. 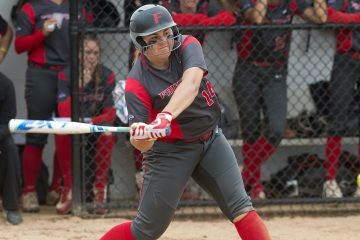 This loss drops Fairfield to a 4-9 record as they now look to take on University of Massachusetts at Rafferty Stadium for the Herd for a Cure game at 1 p.m. on Saturday, April 21.